Jerry Seinfeld. Richard Prior. Laffy Taffy wrappers. These might be the three most influential comedic forces of the 20th century, and you have the chance to be nominally associated with one of them. And also Nick Cannon. 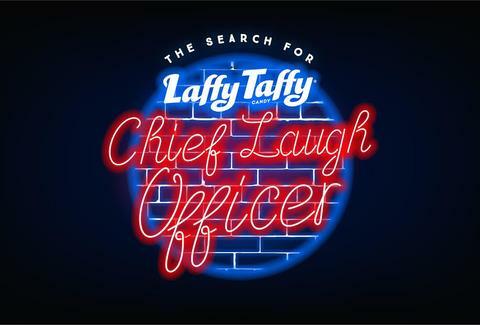 Laffy Taffy is searching for a Chief Laugh Officer via a nationwide contest, and if you win, you'll get call yourself Chief Laugh Officer, be the proud owner of $10,000, and have the chance to collaborate on jokes to appear on the candy's wrappers. To enter, submit a 60- to 90-second clip of you doing comedy and three Laffy Taffy jokes on the Laffy Taffy website. The public will vote to pick the three finalists. And as a real hit at family reunions, you're a shoo-in. When you're chosen as one of the lucky three, you'll be flown out to Los Angeles to perform at the Laugh Factory for a special event hosted by none other than Nick Cannon (whose own jokes are currently on Laffy Taffy wrappers as part of the promotion). At the end of the show, the Laugh Factory and Laffy Taffy will pick the Chief Laugh Officer. The contest ends on May 31, so start workshopping mildly amusing one-liners now.